Located on the Dutch side of Sint Maarten/St. 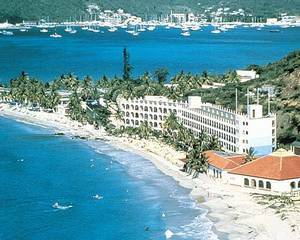 Martin island, Belair Beach Hotel is situated on an expanse of white-sand beach. With the azure waters of the ocean just steps from your door, you can dip in the water for skin diving, scuba diving, waterskiing, fishing, or boating. Rental equipment is available on site for all activities. Within three miles of the resort are a horseback-riding stable, scooter rentals, and a health club with a steam room and a sauna. If you want to explore the island by car, the resort offers a rental service. The resort also has a convenience store on site.